This qualification is a pathway designed to broaden the skills of the graduate across other sections of the community services industry. This may include management of a specific programs or project, or broader management of a community-based organisation, early childhood education service, not-for-profit organisation or community centre. VET Student Loans are available for the Advanced Diploma of Community Sector Management. Our courses also provide other payment options including payment plans and direct debt. Learn more about our fees and funding. Call us on 1300 223 040 to find out more about our Advanced Diploma of Community Sector Management. Workplace training could be the perfect delivery mode for you to upskill and advance your career. Studying to get qualified or advance your skills while working at the same time means you can earn while you learn and put your career goals within reach sooner. 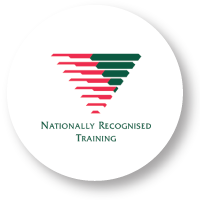 You will have a dedicated trainer who will arrange visits to your workplace and support you throughout your learning journey. Study around your life commitments with trainer support. Your dedicated trainer and assessor will be with you every step of the way to provide you with support and individualised feedback on your assessments. Online learners can collaborate and share experiences with their peers using our interactive, online program hub.